If you’re thinking all retirement villages are same-same, seen one you’ve seen ‘em all, has Lady Wigram Retirement Village got news for you! Lady Wigram has raised the bar in all aspects of desirable over-70s lifestyle. While there is a waiting list for the gorgeous villas, 14 stunning apartments are now completed and waiting for their new owners to join the village and live the dream. More like smaller villas than apartments, there are spacious one and two bed options, and you’ll have to be quick on your feet to snap up the fabulous corner units. Every room has a sizeable balcony, appliances are included, there is a fully equipped laundry and bathrooms are airy with under-tile heating and a call bell system. The kitchens are a wonderful surprise, full sized and completely equipped so residents can have the family in for an evening meal. The views are lovely, and each apartment is architecturally designed and beautifully finished. The care package is for those seeking a little extra help and means you don’t have to cook or clean for yourself. 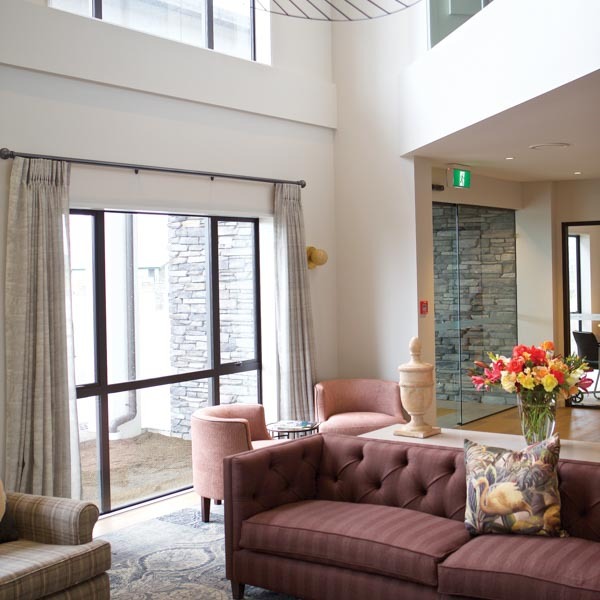 The Clubhouse is complete and contains an array of spaces including the billiard room, library, cinema, dining area for apartment and villa residents, and café. Fourteen apartments and the Activity Centre are brand new. The Activity Centre houses the gym, bowling green, plus the pool and spa. A ‘man shed’ completes the suite, and to complete the hospitality options, there is a unique fully-licensed bar. 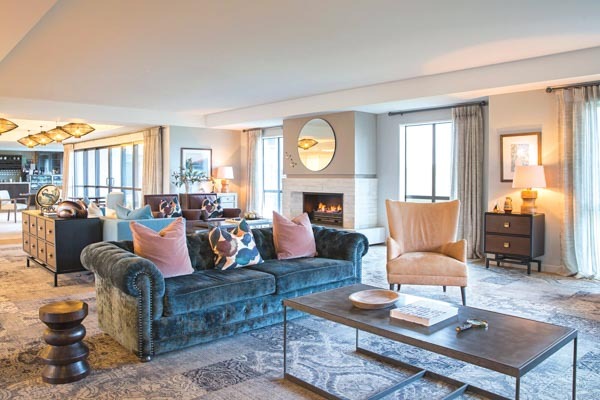 Manager Olivia Cleave says, “Our interiors blew the budget a little” and you can see for yourself where the money went – the award-winning interior design is just divine. Sophisticated yet homely, the art is all one-off pieces and complements the custom-made furniture. Don’t forget to look up – the lampshades upstairs are handmade in Melbourne and from designer lighting specialists in Auckland. As well as organised recreational activities, residents run a lot of clubs and groups themselves. “We are really keen on that, it promotes independence and the feeling that this is their place,” Olivia says. The residents’ choir is popular and going from strength to strength. “All we do is create a beautiful environment for our people to feel at home in. For sales contact Sarah Jacobson on 027 341 1464, or view at www.goldenhealthcare.co.nz. 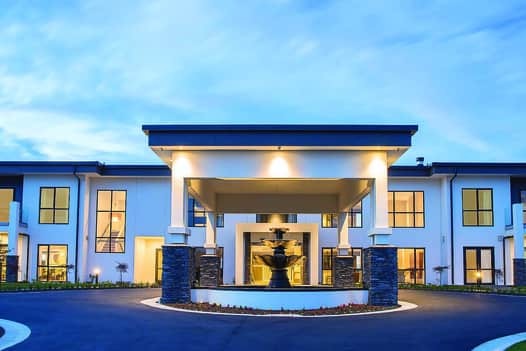 Lady Wigram Retirement Village is open seven days with the main entrance off Kittyhawk Ave.